RADIO then network: Barrie Craig, Confidential Investigator was a detective drama heard on NBC Radio from October 3, 1951 to June 30, 1955. 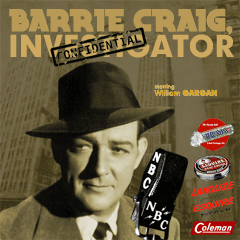 Barrie Craig, Confidential Investigator was a detective drama heard on NBC Radio from October 3, 1951 to June 30, 1955. 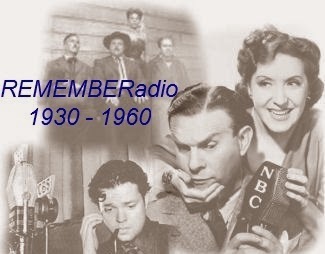 Barrie Craig, Confidential Investigator was a detective drama heard on NBC Radio from October 3, 1951 to June 30, 1955. Detective Barrie Craig (William Gargan) worked alone from his Madison Avenue office. Unlike his contemporaries Sam Spade and Philip Marlowe, Craig had a laid-back personality, somewhat cutting against the popular hard-boiled detective stereotype. Others in the cast included Ralph Bell, Elspeth Eric, Parker Fennelly, Santos Ortega, Arnold Moss, Parley Baer, Virginia Gregg and Betty Lou Gerson. Gargan also starred in the role in an unsuccessful 1952 TV pilot written and directed by Blake Edwards. It was presented on ABC's Pepsi-Cola Playhouse as "Death the Hard Way" (October 17, 1954). A few years earlier Gargan had played a similar character in Martin Kane, Private Eye.